The inaugural 2017 ARC report established a baseline understanding of the state of global aging policies, with in-depth assessments of a group of 12 countries that are geographically, culturally, and socioeconomically diverse and that, together, represent 61 percent of the global GDP and nearly half of the world’s population of people age 65 and older. For the 2018 ARC report, we shifted our focus to 10 small economies around the world that are leading their regions in responding to demographic change..
For each country, the ARC looked at not just what it was doing, but how it was doing it, by assessing the conditions and approaches that had facilitated the generation of successful policies and programs. Across the board, five consistent themes emerged that shaped best practices in aging policy innovation: person-oriented, bottom-up, holistic, interdisciplinary, and evidence-based. The most successful programs and policies are built on the direct engagement of users, not limited to older adults, but including their families and caregivers. While national governments set strategic priorities and dedicate funding, the most innovative programs are born out of the local agencies, NGOs, and individuals on the front lines of aging. Integrative solutions that serve the needs of a range of stakeholders were found when older adults were seen as a vital and valued part of a community, with resources to contribute, not just needs to be met. Across all 2018 ARC countries, cross-sectoral and interdisciplinary collaboration in program design and implementation ensured efficiency, efficacy, and reach. Data collection and clear metrics for success are being employed by leading countries to measure the relative value of these investments, and replicate and scale the most successful models. As in the 2017 ARC report, countries were assessed on four pillars: (1) Community Social Infrastructure, (2) Productive Opportunity, (3) Technological Engagement, and (4) Health Care & Wellness. In-depth research and interviews with subject matter experts were supplemented with a survey of 125 aging experts. After health care improvements, the greatest momentum in aging policies and programs is found in developing a robust community social infrastructure (CSI), as societies grasp the economic imperative and enhanced well-being associated with aging in place. Thirty-six percent of experts surveyed cited CSI as the area of most significant progress in the past three to five years. CSI can be understood as the connective tissue of a society, broken down by three key elements: accessibility, engagement, and assistance. Taken together, these elements enable older adults to remain not only independent, but also active and contributing members of their community. As the share of the conventional workforce— defined as working ages 15 to 64 according to the OECD— shrinks, tapping older people’s skills, experience, and, most importantly, desire, to remain productively engaged will be vital to the competitiveness of countries and the sustained prosperity of their citizens. However, with few exceptions, countries are failing to effectively unlock the productive potential of their older populations, focusing instead on narrow pension sector reforms. When experts surveyed for this report were asked which of the four pillars was in greatest need of improvement, productive opportunity was the most popular response, cited by 31 percent. Only eight percent, though, saw it as the strongest pillar and a mere six percent thought it showed the greatest improvement in recent years. 2018 ARC countries consistently stand out in their regions for their early and extensive investments in information and communications technology (ICT) infrastructure and in the digitization of their economies. The unintended consequence of this is a heightened risk of digital exclusion as governments and companies move services online. While in countries like the United States providing access to affordable, high-quality health care is viewed by many as an incredibly complex challenge, among the 2018 ARC countries it is considered an area of strength and one that they’ve been able to take concrete actions to further improve. Most experts cited health care and wellness as the area in which their country is strongest, with 54 percent of respondents choosing this category. 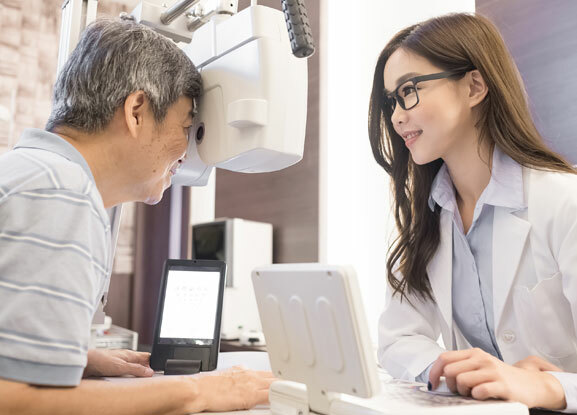 38 percent of respondents cited health care and wellness as the category that has seen the greatest improvement over the last three to five years. Australia is relatively well-positioned to adapt to societal aging, with one of the healthiest and best-educated older populations in the world. The country is shifting to a super-aged society within the next two decades, with the share of people age 65 and older exceeding 21 percent of the total population. While aging at a relatively moderate rate, Australia is in a strong position to compete in the global aging era. 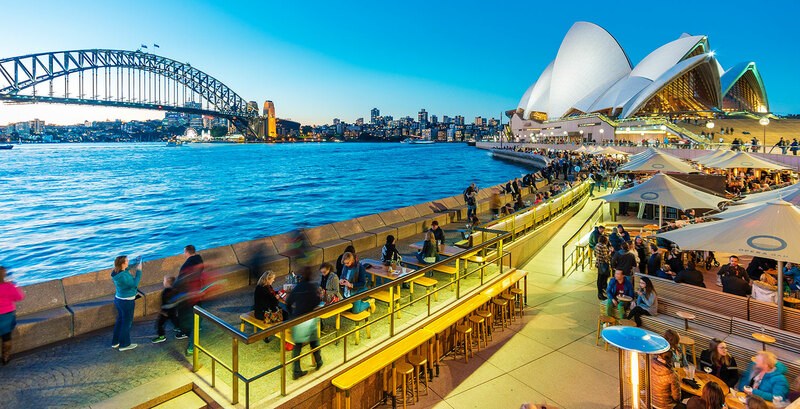 In recent years, Australian society has become remarkably engaged at all levels—the federal, state, and community—to actively adapt to demographic change. Societal aging has drawn significant political attention in Australia, thanks to a compulsory voting system and engaged voters. Political commitment, coupled with a well-developed network of community organizations and non-governmental organizations (NGOs), has contributed to robust community engagement and high levels of life satisfaction among older adults. One area of weakness is enabling economic potential among older people. Technological engagement is another area with tremendous untapped potential. While the health care system in Australia is already one of the strongest in the world, the government has carried out reforms to both the health care and long-term care systems in recent years, with the focus on adopting a person-centered approach to provide coordinated and integrated care for older adults. As of 2017, people age 65 and older accounted for nearly 16 percent of the total population, and the percentage is due to cross 21 percent by the year 2039. An economic leader and high-income powerhouse within Latin America, Chile’s commitment to social service programs and robust health care are increasing longevity and hastening the country’s transition toward becoming a super-aged society in which over one in five people is age 65 or older. Recognizing this rapid shift and the potential implications for the economy and society, the national government is increasingly focused on policy change and is providing funding to municipalities and local stakeholder groups on the front lines designing and implementing age-related programs tailored to local needs. The geographical heterogeneity and physical separation of communities further fosters the development of local programs and services from the bottom up. The family represents the primary means of social connection, caregiving, and introduction to new technologies. 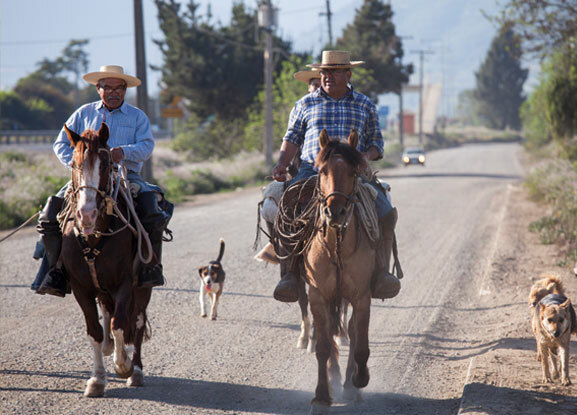 Despite a long history and tradition of family cohesion, older Chilean adults are becoming increasingly independent, self-sufficient and empowered. Associations of older adults are a formidable force in Chile, and are increasing in their reach, impact, and degree of political influence. 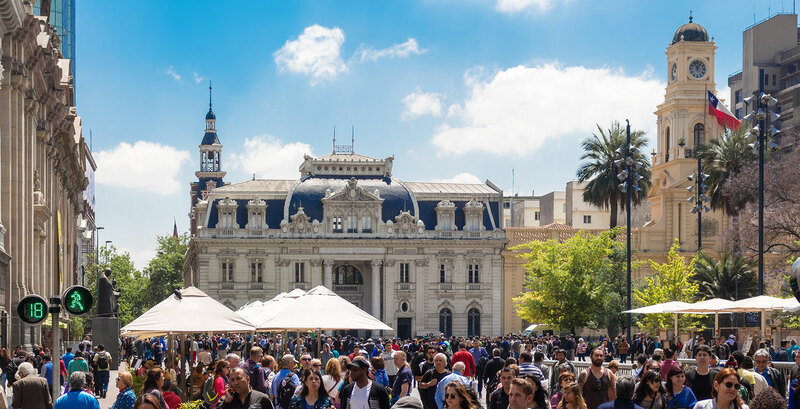 As in other countries, Chile’s increase in life expectancy is straining the country’s pension system, which is funded through individual savings accounts. The government’s traditionally narrow focus on pensions is beginning to broaden and take a more holistic view on aging and supporting older adults to remain productively engaged. 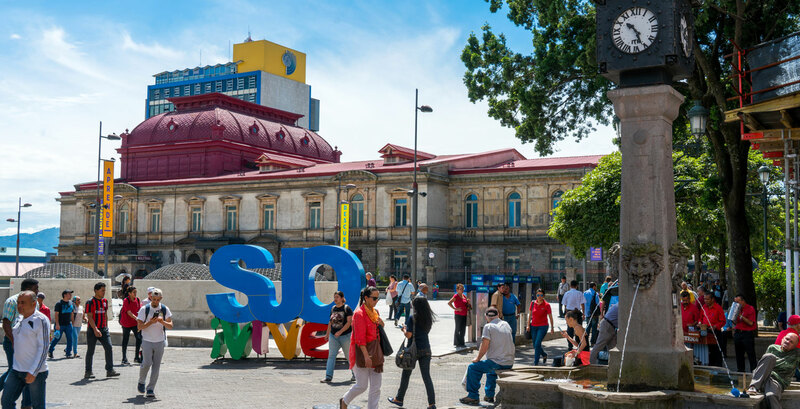 A global leader in information and communications technology (ICT) connectivity, Chile is well-positioned to leverage this infrastructure to improve the social connectedness, productive engagement and health of its older population. But efforts to reduce its substantial digital divide are still nascent. While Chile’s age-related policies are largely in their infancy, the country’s commitment to health care and wellness has laid a solid foundation and remain critical to older adults’ overall welfare. Those age 65 and older represented 6.2 percent of the population in 1990, which had jumped to 11.1 percent in 2017. This share is projected to grow steadily, and will hit 21 percent by the year 2041. With a long history of political stability, greater than average economic growth, and commitment to social welfare, Costa Rica has become a regional leader, with its proactive approach to human welfare and aging, pioneering broad-based investment in health care, education, and programs for the poor. Serving the evolving needs of older adults is a source of pride on the part of the Costa Rican people. The government’s focus on enhancing citizens’ rights and welfare, and its radical 1948 decision to eliminate the nation’s military and instead channel funding to a range of social programs, enabled this small Central American nation to chart a markedly different course than others in the region and become a test-bed for regionally appropriate solutions. Financial support, ongoing economic and social development, and decreasing fertility rates continue to shift the country’s demographic profile along the age spectrum, and to expand the share of older adults in Costa Rica’s total population. Presently considered an aging society, Costa Rica will become a super-aged society in the year 2045 when 21 percent of the population will have reached the age of 65 or older. The number of older adults in Costa Rica will triple by 2050 to roughly 1.37 million, necessitating the expansion and adaptation of policies to support this demographic and foster its continued productive engagement in society. 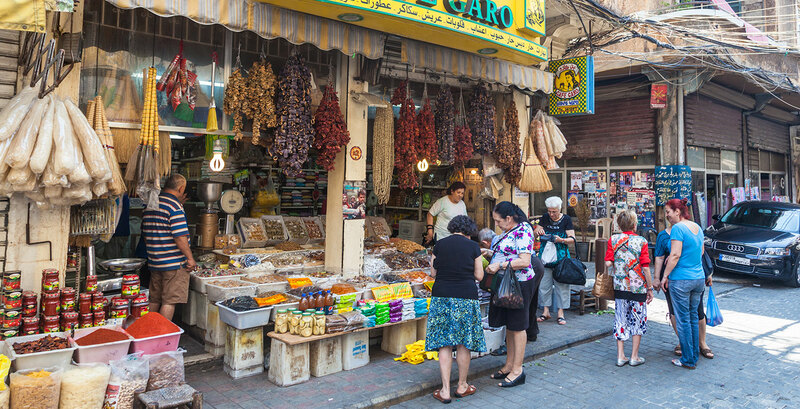 Home to the oldest population in the Arab region, Lebanon is seeking to adapt to demographic change by providing innovative solutions amid continuing economic and geopolitical instability. The non-governmental sector is central to the country’s ability to accommodate the aging population. A multitude of programs led by non-governmental organizations (NGOs) are facilitating vibrant social lives for older adults and providing much-needed social support. Some efforts led by NGOs are also emerging to engage older adults in economic activities, volunteer activities, and education and digital training opportunities. Grappling with fiscal constraints and a recent influx of Syrian refugees, the government has focused its efforts on infrastructure construction and the public health system. However, older adults’ productive potential is off the policy radar and remains a significant missed opportunity. Technological engagement is another area with significant opportunity for improvement. The government’s technology focus to date has predominantly been limited to infrastructure improvements in information and communications technology, but a significant digital divide persists. As of 2017, 8.5 percentof Lebanon’s population was age 65 and older, and the number of older adults in Lebanon was projected to more than double through the year 2050, at which time it will account for 23.3 percent of the total population. 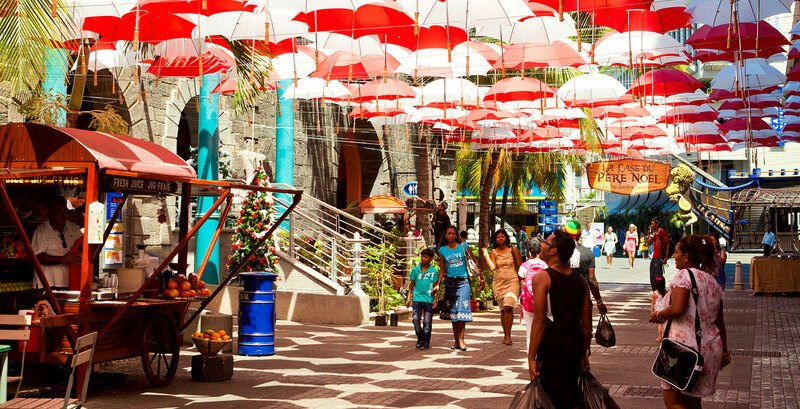 The smallest country covered in this study, Mauritius, is leading the African region in proactively identifying aging as a critical issue for the health and competitiveness of its society and its economy. With a diverse population, deep historic ties internationally, a track record of political stability, effective governance, and rapid economic growth, it has embraced international best practices by defining a holistic approach to aging policy that reflects the unique resources and needs of its population. Today’s older adults in Mauritius are fortunate to live in a country with a long tradition of social support, universal pension, free quality health care, and innovative programs focused on taking care of the generation that helped build the country. Multiple programs offer opportunities for social connection, a sense of community, and leisure. The government is also beginning to address the growing prevalence of dementia and the need for a more robust system for long-term care, and examine workforce participation among older adults. The country became an aging society in 2008, crossing the threshold of 7 percent of its population over age 65, and is projected to become an aged society in just five years, with 14 percent of its population 65 and older. The Netherlands is a prosperous, densely populated country of 17 million people that prides itself on openness, entrepreneurship, and innovation. The last Western European country to become an aged society, in 2005, it is now among the region’s fastest-aging societies. Since World War II, the country has built a comprehensive social safety net that has helped to create a healthy and active older population. However, the financial crisis and economic recession 10 years ago strained government finances and led to deepening concerns about the long-term financial burden on the social safety net due to the increasing number of older adults. This has resulted in a gradual shift to the concept of a participation society, in which individuals are expected to become less dependent on the state, and instead more self-sufficient or more reliant on family and community support. Older people in the Netherlands have long benefited from an extensive range of initiatives led by diverse stakeholders to promote their social participation and to cultivate an age-friendly environment. However, there is still a lack of housing adapted to older adults’ needs, and informal caregiving has received less support than in other EU countries. Aware of these strengths and weaknesses, the government launched the Pact for the Elderly Care (Pact voor de Ouderenzorg) in early 2018. The clear focus of the Pact is to support active aging at home along with alleviating loneliness and improving nursing home services. While the government has raised the pension age, greater attention is being given to removing legal obstacles to labor participation by older adults. As a result, the Netherlands has recently seen one of the greatest gains in the labor force participation of older adults among OECD countries. In addition, the government, together with non-governmental organizations (NGOs), is stimulating the development of information and communications technology (ICT)-based solutions for aging through various funding schemes, although achieving scale remains a challenge. 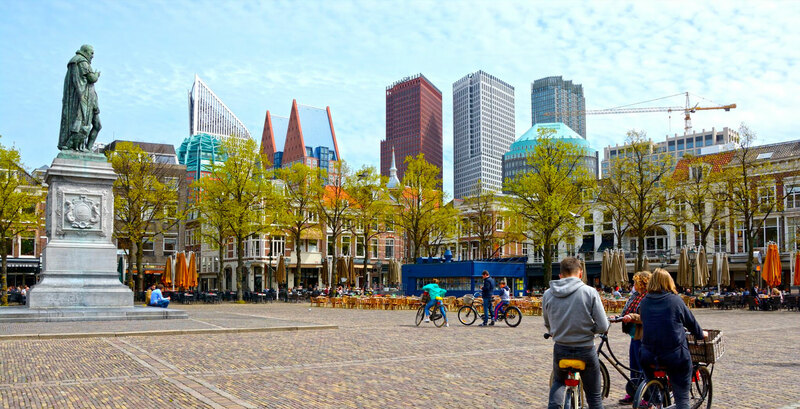 A small but densely populated country, the Netherlands is one of the most rapidly aging countries in Western Europe, becoming a super-aged society within the next decade. The speed of aging has accelerated over the past decade as the 2.4 million baby boomers born between 1946 and 1955 started turning age 65 in 2011. New Zealand is experiencing the largest generational shift in its history, and is rapidly moving toward a super-aged society. 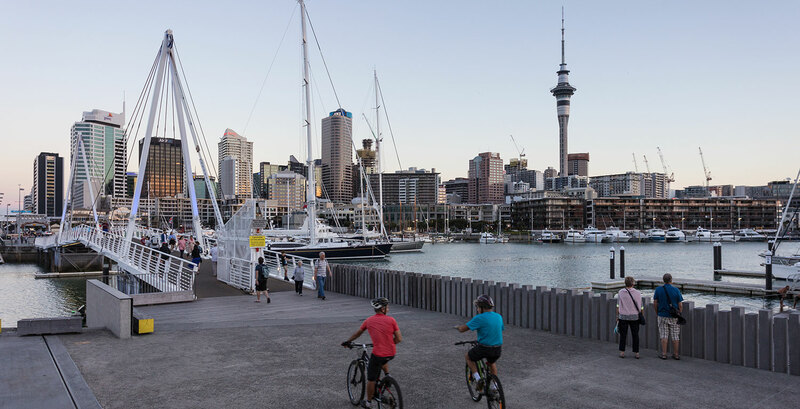 With a strong, collaborative, and multi-stakeholder approach to aging, New Zealand is addressing the needs of its older population through an interwoven system of supports including a universal pension system, a localized social medicine system, robust nongovernmental programs, and individual efforts. A recurring theme in New Zealand is the government’s channeling of money to nongovernmental organizations (NGOs) familiar with their respective communities. That integration may be an extension of what one expert called a “culture of community” in the country, the inclination to work together at the governmental, nongovernmental, and individual levels, to ensure needs are addressed. New Zealand’s recent history of social programs has experienced a series of funding cuts, making volunteer engagement even more important to program continuity. While New Zealand maintains a strong economy, with growth projected to remain above the Organisation for Economic Co-operation and Development (OECD) average, New Zealand is struggling with rising income inequality that could affect growth and adversely affect the country’s most vulnerable, including older adults. This rising gap places older adults on fixed income particularly at risk, making social infrastructure, productive opportunities, and health services ever more important. The country’s well-developed social programs, including a universal pension plan and public health care system, provide needed support for the country’s older population, but the sustainability of these programs will face greater pressure as the share of older adults expands. Today, more than 700,000 people age 65 and older make up more than 15 percent of the country’s population of 4.7 million. By 2032, New Zealand will become a super-aged society, when the percentage of people age 65 and older exceeds 21 percent. Today, Norway faces transformations both demographic and economic. Its resource-rich economy, which has for decades successfully supported a robust social safety net, is being challenged by low oil prices as well as long-term risks from climate change and resource depletion. 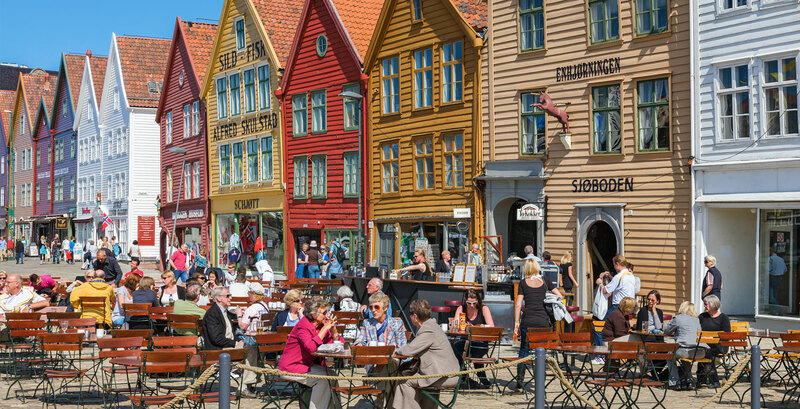 Already an aged society, Norway has been experiencing a dramatic increase in the pace of aging since 2010, when its baby boomers began to turn 65. The country is proactively adapting by modernizing the social safety net and workforce policies at the national level, with municipalities driving the development of innovative, cost-effective solutions to better accommodate an older population. The government has made dramatic progress in unleashing the potential for active aging in recent years. Because of a series of actions beginning in the 2000s to build inclusive working environments and to reform the pension and health care systems, the government believes the institutions are well prepared for an aging population. It has shifted its focus to a holistic approach, captured in the 2015 national strategy for an age-friendly society called More Years–More Opportunities, which seeks to accommodate the aging population and unleash opportunity across transport, community planning, inclusive working life, and technology adoption. Within the next 15 years, Norway is expected to enter a super-aged society, when the share of people age 65 and older exceeds 21 percent of the total population. 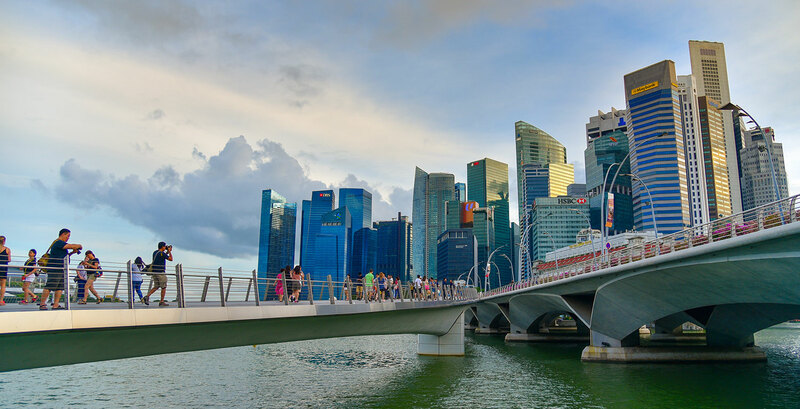 Singapore, a sovereign city-state in Southeast Asia, is known as the 20th century’s most successful development story, having transformed from a low-income country to holding the third highest per capita income within 50 years. Today, the economy is at the outset of another transformation— this time demographic. Singapore is one of the fastest aging high-income societies and its older population will double by 2030. 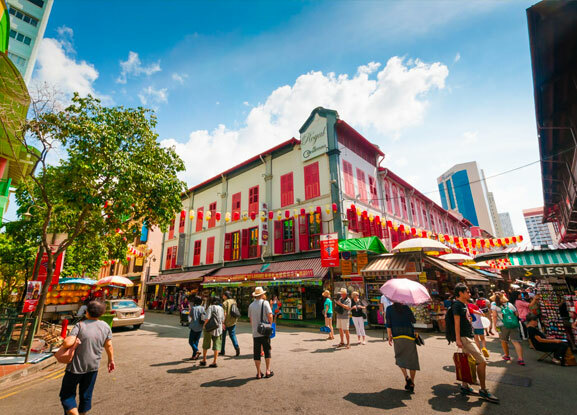 The same long-term, strategic approach to planning that enabled the Singaporean government to deliver rapid economic growth has informed the development of the country’s approach to aging. Conscious of the country’s geographic and natural resource constraints, the government has emphasized self-reliance and responsibility sharing among individuals, family, community, and the state. This philosophy is manifest in every aspect of its social safety net related to aging, covering pensions, health care, and long-term care. Focused on its role of enabler, the government has made dramatic achievements in building accessible infrastructure, affordable housing, and a network of non-profit organizations. Already one of the world’s most efficient health care systems, Singapore is stepping up the effort to develop its long-term care system, with a focus on availability and affordability. The government has been keen to capitalize on the economic opportunity among the older population, with substantial progress made in tapping the productive potential among older workers. 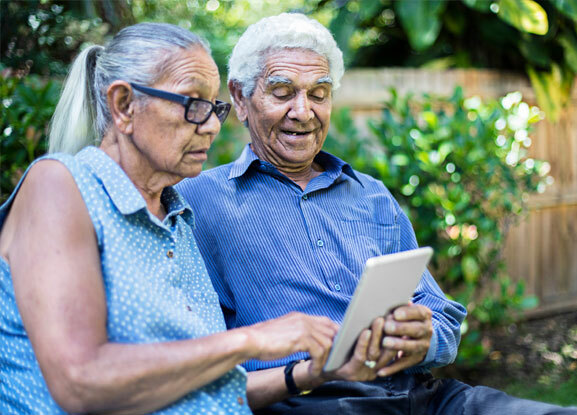 In comparison, although boasting among the world’s best information and communications technology (ICT) infrastructures, the country sees the need for more effort to improve digital inclusion among older adults and to develop digital technology and services that support independent and quality living. In 2019, Singapore will become an aged society, having crossed the United Nations threshold of 14 percent of its population age 65 and older. Over the next decade, Singapore will become a super-aged society, defined as people age 65 and older exceeding 21 percent of the total population. Today, Taiwan stands at a demographic turning point for which it is proactively adapting through both policy and social innovations. It became an aged society in 2018 and Taiwan is projected to become a super-aged society within the next decade. 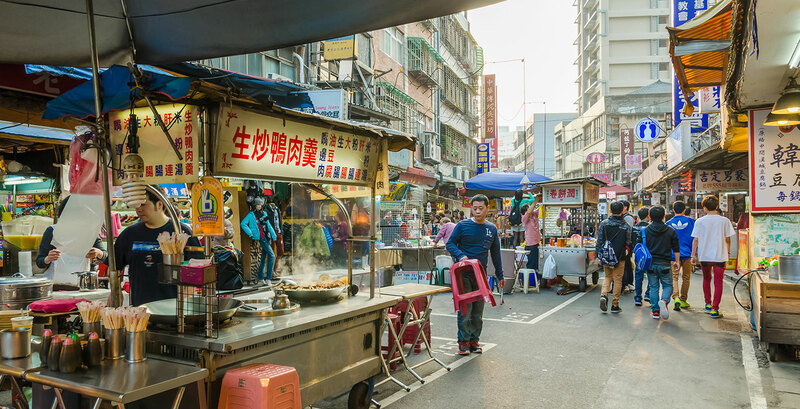 Taiwanese society’s ability to adapt to its demographic shift lies in a strong government commitment coupled with extensive grassroots engagement. Taiwan’s social infrastructure on the community level is one area of strength. Taiwan is also the world’s first society where all its cities are committed to age-friendly initiatives, and it has extended that movement down to the smaller, local community level. In terms of health care, while the universal health system allows for easy access to affordable health care, the system is currently fragmented, and innovative efforts are needed to provide older adults with integrated care. Recognizing that the changing family structure is weakening a traditional source of care for many older adults, the government has stepped up to build a formal long-term care system that is achieving early success. Thanks to its world-class information and communications technology (ICT) infrastructure, Taiwan is well positioned to harness the power of digital technology to meet the needs of older adults and the government has integrated the development of ICT innovation for aging into its industrial competitiveness strategy. Economic participation of older adults, however, is an area of tremendous untapped potential. Becoming an aged society this year, Taiwan is projected to be a super-aged society within the next decade. By 2050, close to 35 percent of the population will be age 65 and older, with nearly 20 percent of that group age 80 years and older.